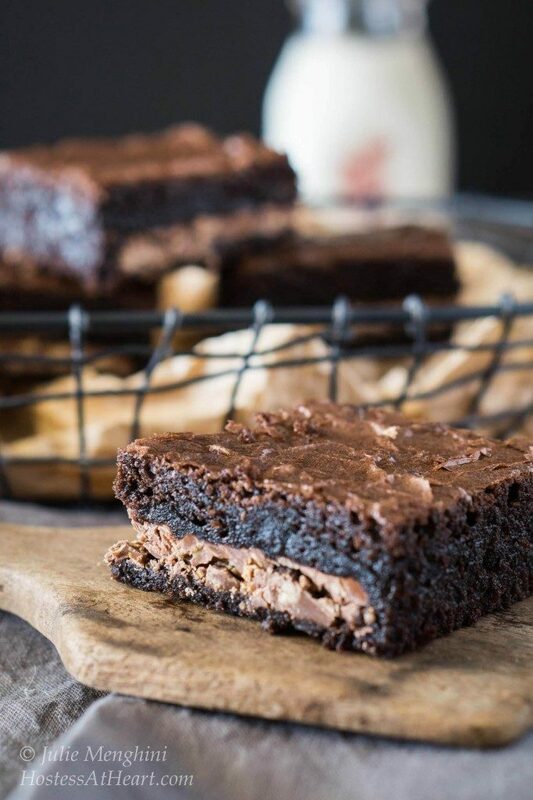 Derby Pie Brownie Bar recipe is the best combination of a dark chocolate brownie and a pecan pie. It’s rich, delicious, and perfect for any occasion. One thing I love about the winter months is all of the amazing baking going on for the holidays. So when I found out about the Freaky Friday Virtual Cookie Exchange blog hop, I was all in. 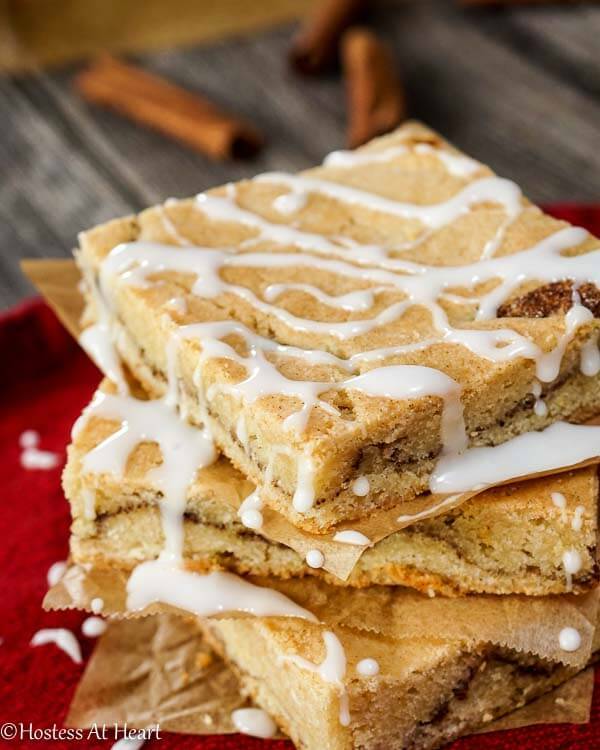 The Freaky Friday blog hop is a group of bloggers that are secretly assigned each others’ blogs from which we choose a recipe appropriate for the theme. I chose her Decadent Derby Pie Brownie Bar recipe. Let me tell you a bit about the recipe and creator. The blog that I was given was Take Two Tapas. Take Two Tapas is the brain project of the amazing Jennifer. 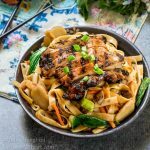 Jennifer started her blog because she enjoyed grazing on several different dishes instead of filling up on a big plate. I’m with her! She enjoys entertaining and is a real magician when it comes to transforming a dish into a delicious lighter version. 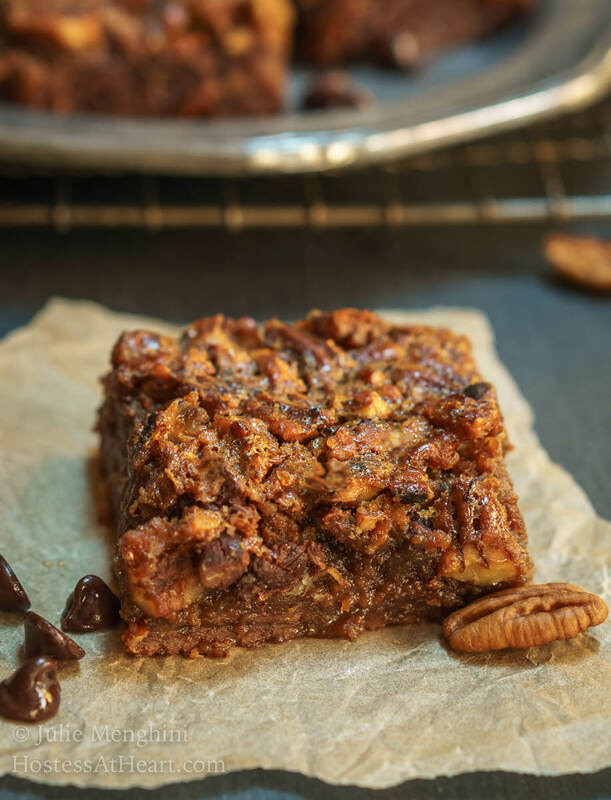 When I tasted her Derby Pie Brownie Bars, I thought it was like a rich chocolatey brownie and a pecan pie had a collision and the result was a luscious dish of rich chocolate pecan bars. I used to think that people who whined about a dish being too rich were dessert wimps. Well, this recipe makes a 9×13 pan, and it will feed an army. 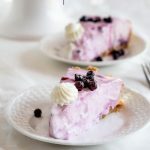 The white flag has been raised, this is a delicious, rich dessert that will be perfect for entertaining. 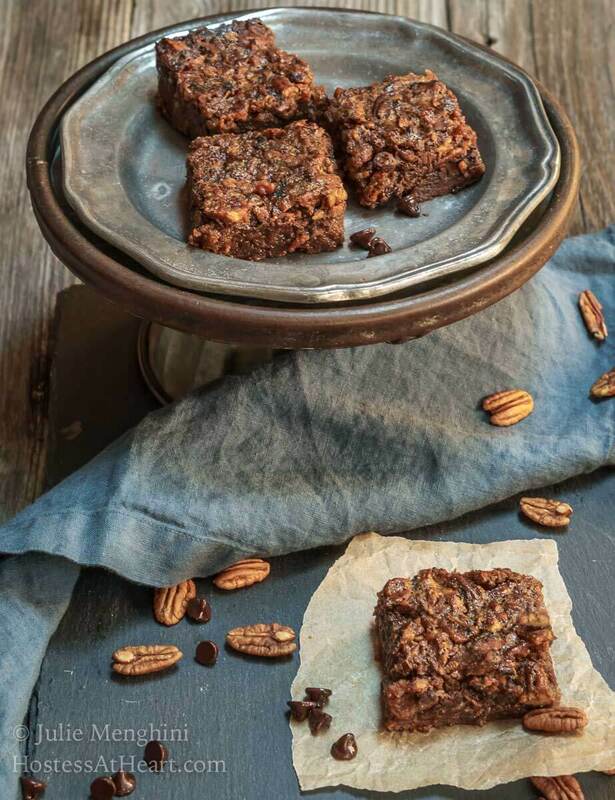 Derby Pie Brownie recipe is the best combination of a dark chocolate brownie and a pecan pie. It's rich, delicious, and perfect for any occasion. Preheat oven to 350°F. Spray a 9x13 pan with non-stick cooking spray. Line with parchment paper and spray again. Set aside. In a large glass bowl melt the butter in the microwave. Add chocolate and stir until melted. Cool slightly. Add the sugar, vanilla, and slowly drizzle in the egg, whisking continuously until combined. Bake for 25 minutes. Remove from the oven and set aside. Mix the brown sugar, corn syrup, butter, eggs and bourbon together until combined. Add toasted pecans and chocolate chips. Pour on the brownie layer. 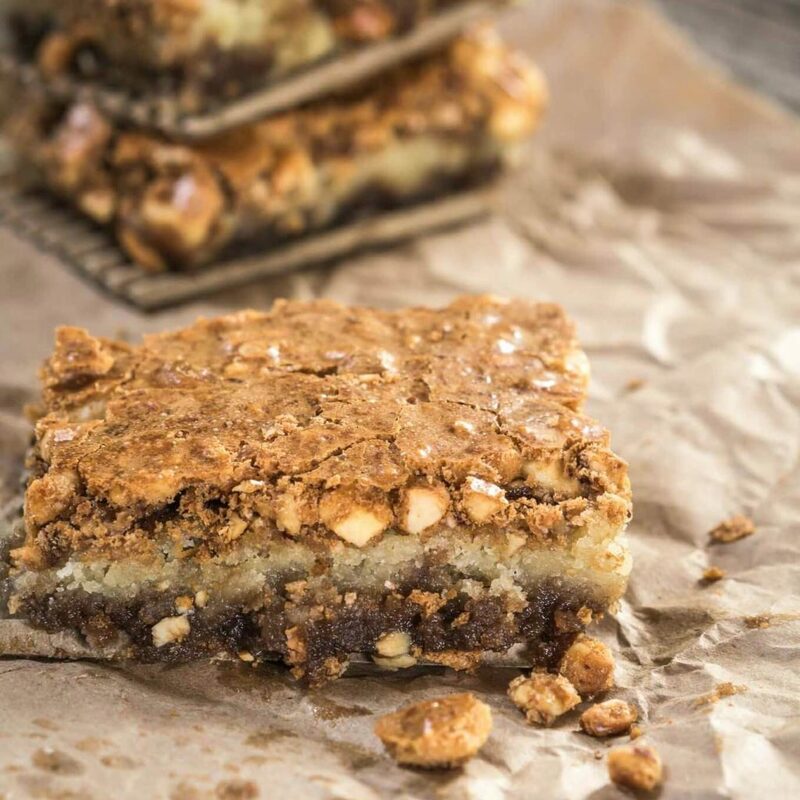 If you’re looking or a couple other easy delicious dessert bars, here are a couple of my favorites! Patti, this is kryptonite for a diet my friend. I immediately gave most of it away to the neighbors and only had a couple of small pieces. It’s rich! This looks seriously addicting! And I love the fact you make it in a pan…easier for those of us that are baking challenged! Thank you Michelle! Nothing difficult about this one! In love with this and I haven’t even tasted them yet. I need to make these asap! Thank you, Kris! I will definitely be making it again. I’m so glad that you liked the brownies Julie! When I make them I also take a large portion of them to friends or I end up eating way too many of them! We loved this recipe Jennifer. thank you for posting it. 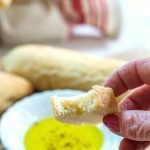 Your blog has so many recipes that I would love to try! What a fantastic treat for the holiday season and beyond! I agree Lori! Thank you! Thank you Nicole! They are wickedly delicious! Wow these look good. 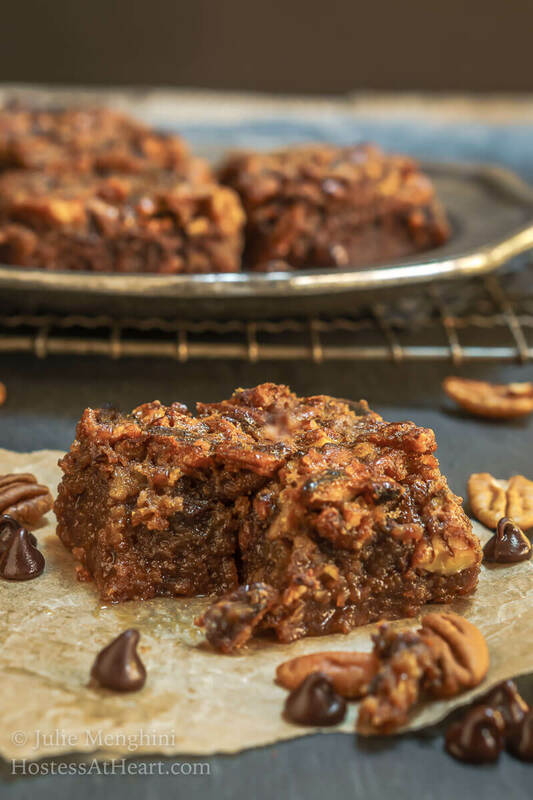 A pecan pie meets brownie kind of recipe! Perfection! Thank you, Debi! They were easy to make and way to easy to eat! SO glad you are part of our group, Julie!! Loved baking from your site this round! 🙂 These are sensational!! Can’t wait to do lunch after the holidays! Thank you, Michaela! I really enjoy this group and really appreciate the invite. I look forward to our lunch too! Wow, these look amazing Julie! I will have to check out the cookie swap, such a great idea 😀 Happy Fiesta Friday! Thank you Antonia! It was so much fun with some amazing recipes. Thank you, Dan! They were so easy and delicious too! Thank you, Angela! They were amazing and would be popular on our virtual cookie tray. I’ve never had derbie pie before; I think I’m gonna skip the pie and go right to these brownies. They are amazing Jenny! 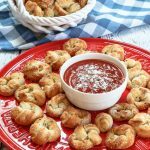 Jennifer hit it out of the park with this recipe! This is 2 of my favorite desserts in 1! Love this! I agree with you! It was amazing! Wow, you’ve combined 2 of the best desserts! 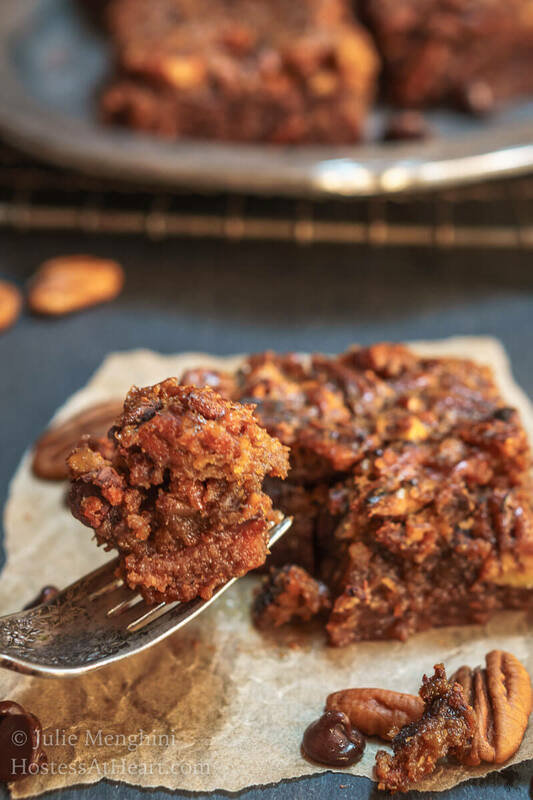 Looks amazingly delicious and so gooey rich – yum! It was all of that Lily! I don’t think I’ve ever had a richer recipe. But it was really good too. 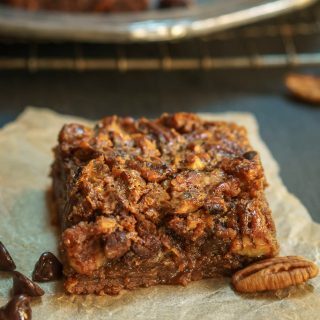 I can’t wait to get some pecans to make these. Looks like the perfect brownie to me! They were amazing Christie. Not difficult to make and delicious! 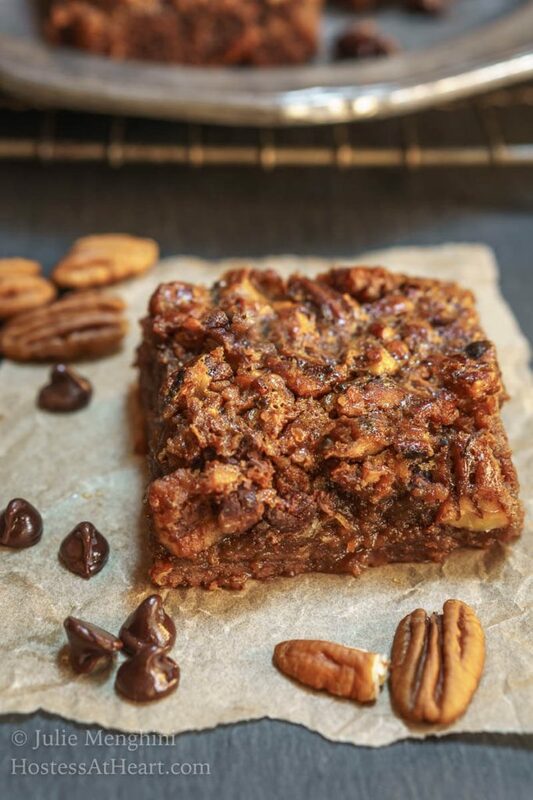 Looks like the important ingredients of a Derby Pie are in your brownies – pecans for walnuts and pastry dough for brownies. Sounds like a winner! These bars look so rich and decadent! A perfect splurge for the holidays! It really is Petra! Thank you so much for co-hosting this week! What a wonderful treat to wake up to. I think I’d eat this for breakfast Julie 🙂 Will have to have a look around at the blog site. It’s great getting involved in these challenges/exchanges. I wonder where you have the time? Good on you though, it keeps the blog fresh and innovative 🙂 Love this time of year with all the baking aromas in the kitchen. I’ll bet these were irresistible! Thank you Sonal! It’s almost as sweet as you! Ha! They were definitely dangerous! I immediately took half the pan to my neighbors. This looks amazing, Julie! So many wonderful flavors combined. Thanks for sharing the recipe. Hope you are doing well and have a great Thanksgiving! Thank you Shari! I hope you have a wonderful Thanksgiving too. I’m having so much fun watching your house go up. I hope you keep posting pics of progress. Bookmarking this for sure! Looks delectable!